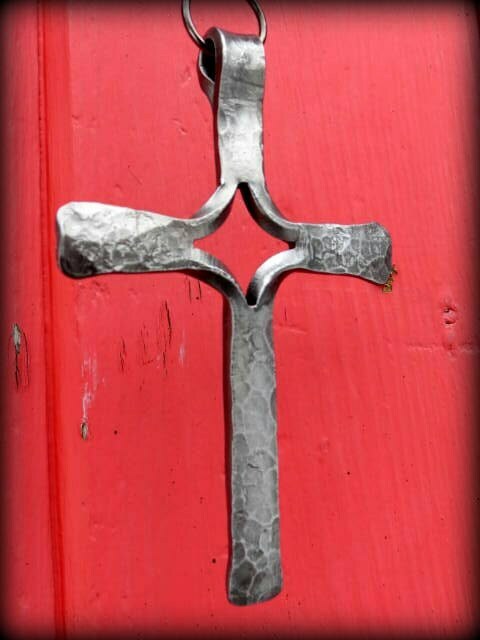 After forming the cross, I got it red hot once again and hammer textured it, giving it random strikes with a ball pein hammer. 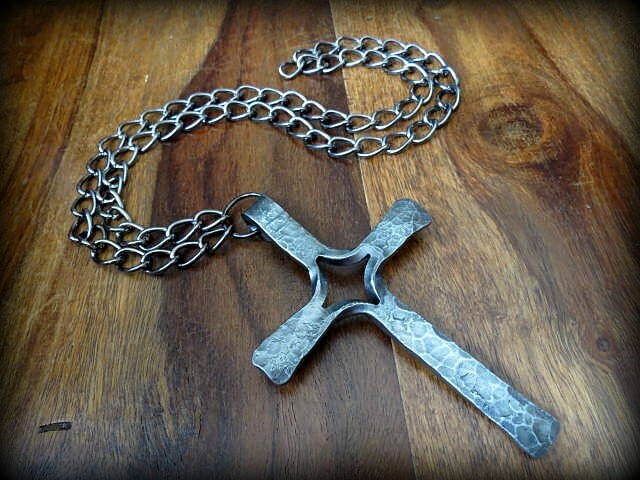 This also adds to the originality of the cross making each one unique. 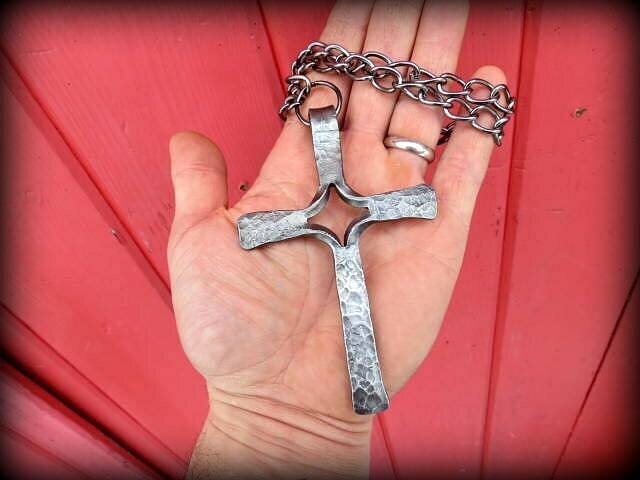 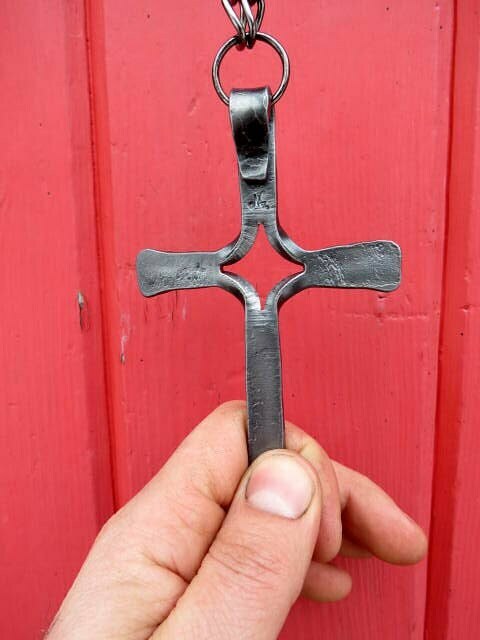 After cleaning, I clear coated the cross for protection and to keep the raw iron look.